I am an ink junky by heart! So whenever I get a new set of inks I try and put it through the test and see how it works on all my favorite mediums. 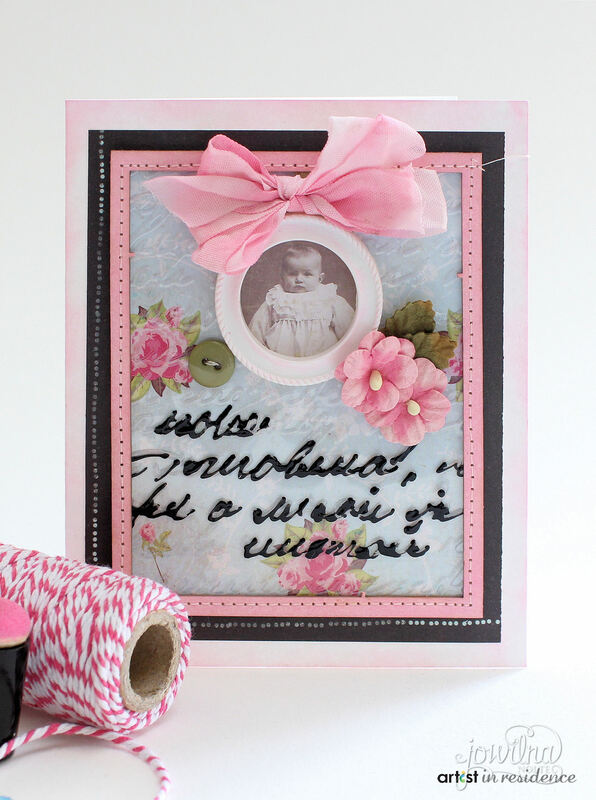 For this vintage baby card I tried the MementoLuxe inks on different mediums to see how they work and I love the outcome. I also added some irRESISTible accents to an embossed card and love how I can enhance my embossing folders with this stunning medium in a few easy steps. 1. Cut a piece of white cardstock measuring 9×51/4 inch and fold in half. 2. Cut a black piece of patterned paper measuring 4×43/4 inch and adhere to front of card. 3. 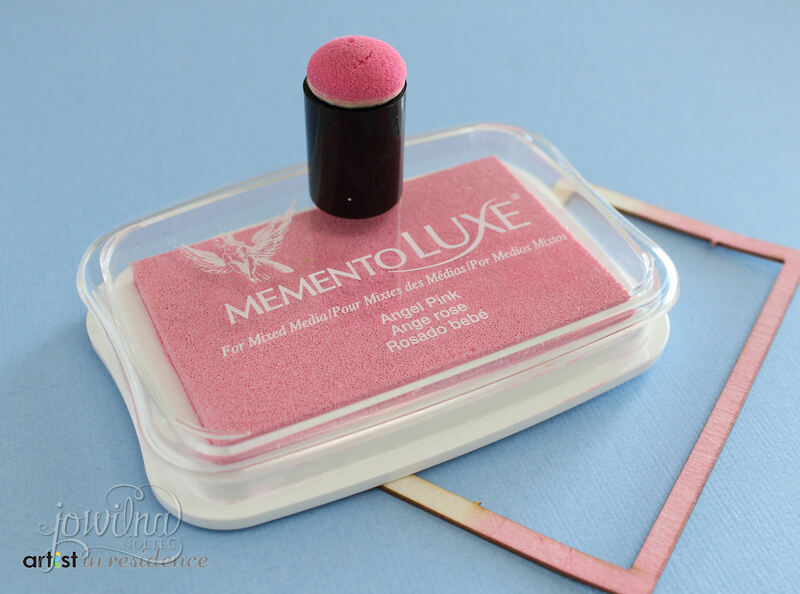 Ink a chipboard frame using MementoLuxe ink using a sponge dauber. 4. 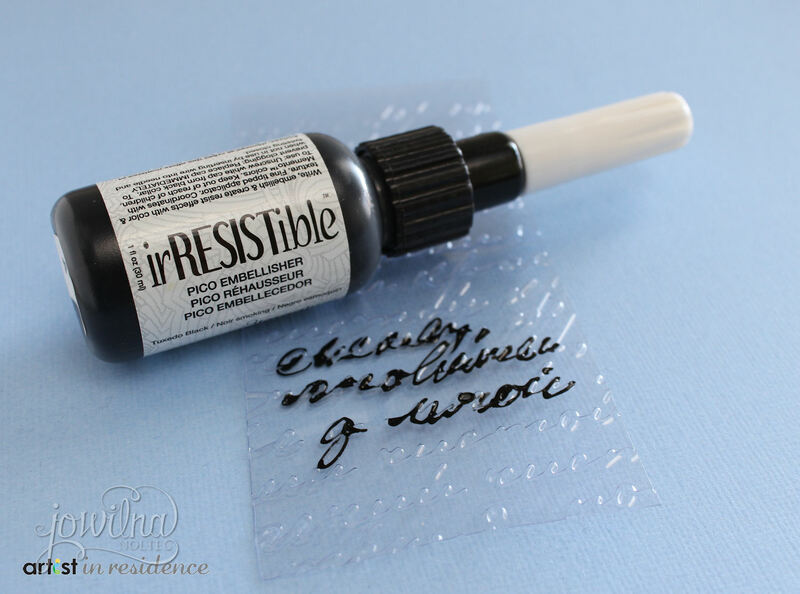 Highlight some of the words on the embossing using irRESISTible embellisher. 5. Adhere the inked frame to the embossed plastic. 6. Adhere the framed piece to patterned paper. 7. 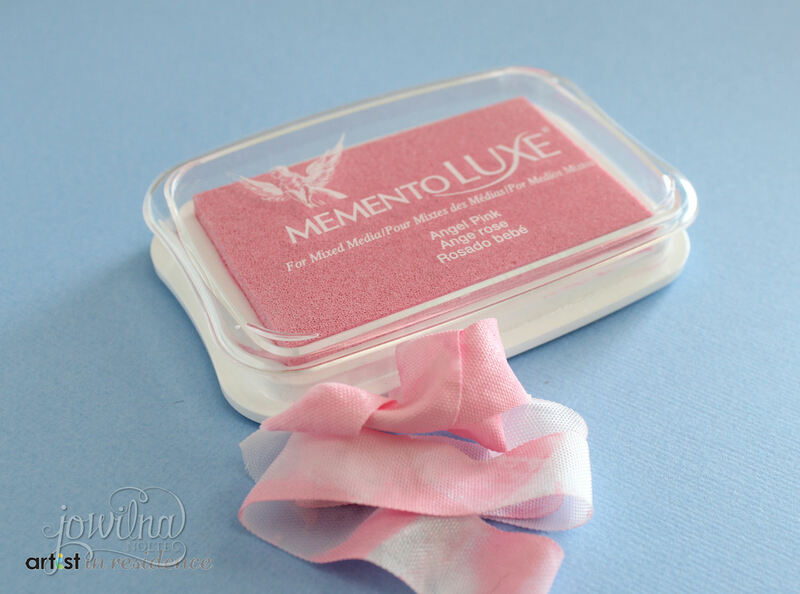 Color white seam binding ribbon using MementoLuxe ink pad and mist with water to spread the ink. 8. Finish off card with focal image, button, flowers, sewing and colored ribbon. This entry was posted in Cards, Jowilna Nolte. Bookmark the permalink. Beautiful card, love it! Love how you wrote with the pico embellisher, love that look! Thanks for sharing. Wow this is beautiful Jowilna.